Google IDaaS is Google’s conceptual approach to single sign-on. Ideally, Google would like to provide SSO to a variety of solutions, including their own services and web applications. Google IDaaS single sign-on leverages authentication protocols, such as OAuth and SAML. Unfortunately, though, this approach is little more than a first-generation approach at IDaaS. What Can Google IDaaS Single Sign-On Do? Years ago, many analysts defined IDaaS as web application single sign-on, multi-factor authentication capabilities, and access control to web apps. Google IDaaS follows this early approach to IDaaS. 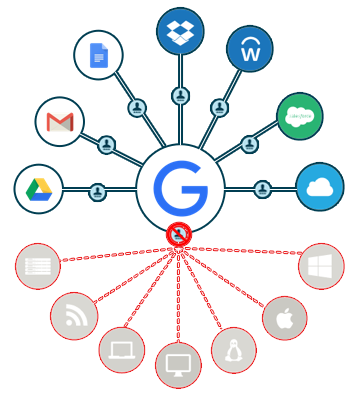 With Google Suite, Google aspires to replace Microsoft Active Directory® with its identity and access management (IAM) strategy. However, that seems unlikely. Active Directory is a stalwart in the enterprise. In production environments since 1999, AD is the monopoly in the identity management world. While Google’s approach to attacking AD rests on its strong cloud services, connecting G Suite identities to Google Apps isn’t going to be enough. IT admins really want a true alternative to Active Directory in the cloud. That approach to cloud identity management really needs to be a complete user management system with system management capabilities much like what AD has done for the Windows platform. A next-generation IDaaS platform needs to be central user management regardless of protocol, provider, platform, or location. IT resources today are based on a new wave of technology. And the cloud is driving IT resources and users to be located anywhere in the world. Directory-as-a-Service® is the reimagination of Active Directory and LDAP for the cloud era. 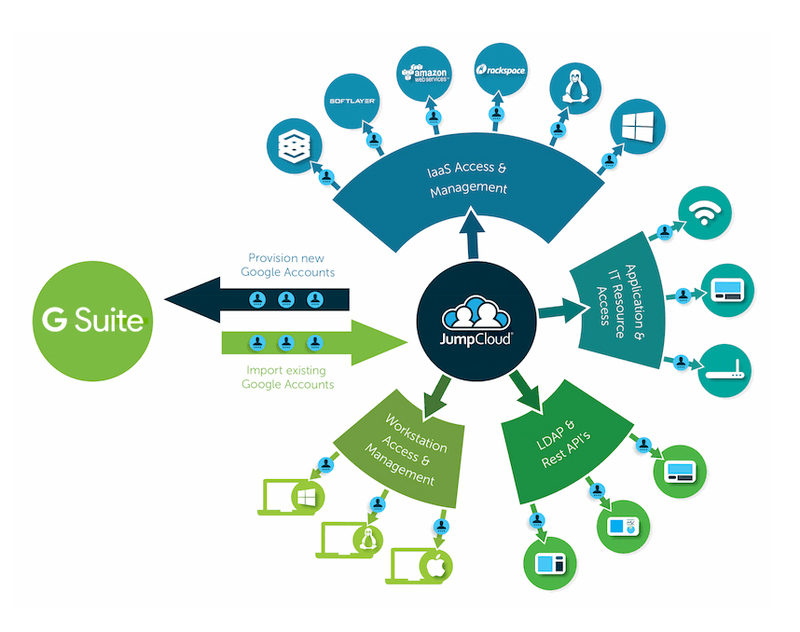 With central user management, cloud LDAP and RADIUS capabilities, True Single Sign-On™ across virtually all IT resources, system management (i.e. cross-platform GPO-like capabilities), system-level and application-level MFA/2FA capabilities, WiFi authentication, and more, Directory-as-a-Service is the approach that Google IDaaS with SSO capabilities would like to take. 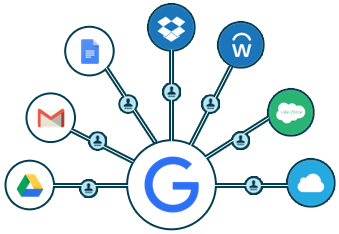 The good news is that Directory-as-a-Service is seamlessly integrated with G Suite. IT organizations can leverage their user’s G Suite credentials as the core credentials used throughout the IT environment. 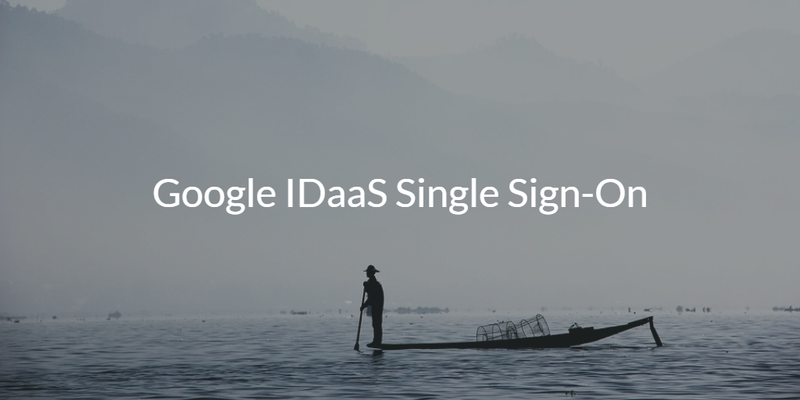 If you would like to learn more about Google IDaaS single sign-on, drop us a note. Alternatively, take a look at our True Single Sign-On platform to see if that approach to cloud identity management works for you. Sign up for a free account today since your first 10 users are free forever.